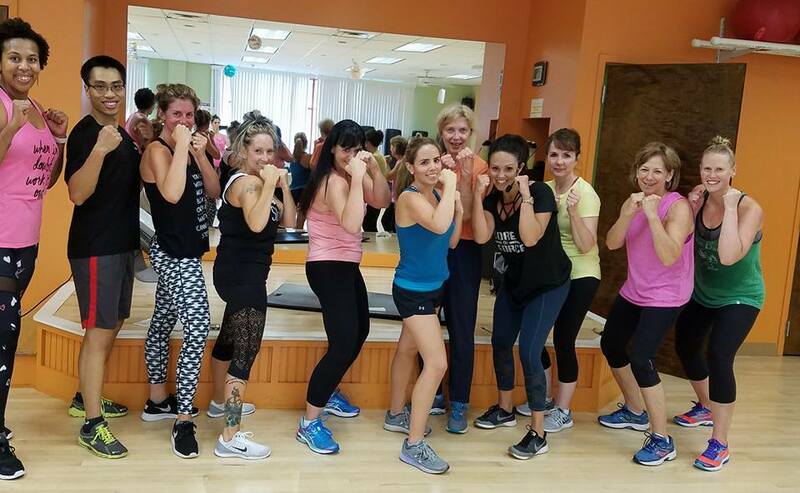 NHHR prides itself on offering a diverse collection of group classes, taught by certified, experienced instructors in an upbeat, motivational setting. We offer 40-50 options every day, throughout the year. Come to our group exercise room, meet new people, and challenge yourself in a different way. Have Questions? Feel free to Email Candice@NHHR.com with any concerns you may have. Boot Camp – High intensity/weighted circuit workout. 1-minute intervals of various intense exercises, minimum active rest! Chisel’d – Build defined muscles with split workouts using weights. Routines change every 6-8 weeks to avoid plateaus. Circuit Breaker – Mixture of strength and cardio=metabolism booster! Definitions – Full body conditioning designed to improve muscular strength and endurance using weight, bands, barbells, and stability balls. Indoor Cycle – Our instructors will take you on a ride as you cycle your way through hills, sprints, jumps, intervals and more. Insanity – One of today’s hottest workouts created by Shaun T. Maximum interval training with long periods of work and minimal rest. Become an INSANIAC today! Low-Impact – Low impact cardio, strength and balance training. Ideal for seniors and anyone new to exercise. 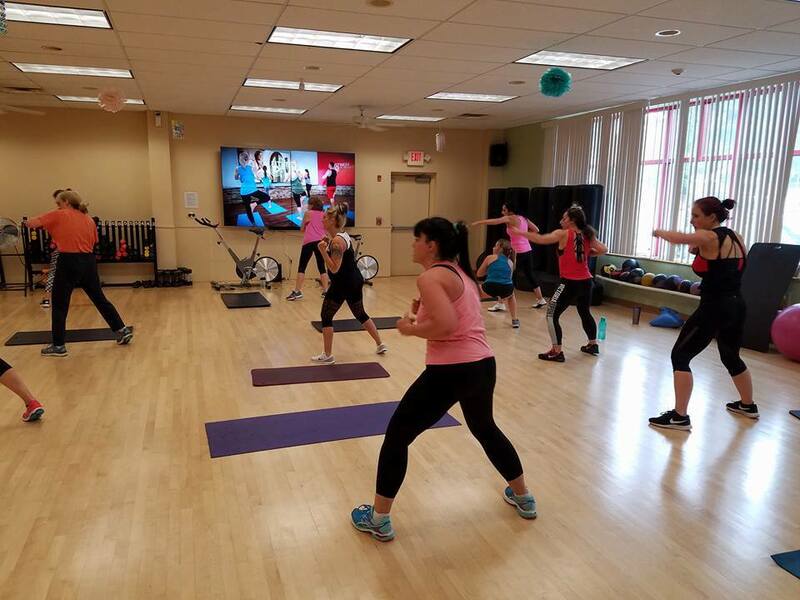 Mix it Up – Mix it Up classes will always be different, but what you can expect is a full body workout designed to strengthen and tone the upper and lower body using an assortment of fitness equipment. PiYo – Combines the muscle-sculpting, core-firming benefits of Pilates with the strength and flexibility of flowing yoga movement. You’ll use your body weight to perform a series of continuous, targeted moves to define every single muscle-big and small. POP Pilates® – The combination of total body Pilates exercises with the attitude of choreographed dance and the energy of music, results in an intense workout that is FUN and effective. You will be challenged to flow from one exercise to the next, developing a rock solid core, while leaving NO muscle untouched. P90X – Total body strength and cardio conditioning that helps you blast fat and builds muscle fast. It’s tough, but the instructor can show you how to modify any move and the group motivation will help to push past the plateaus. Sit and Be Fit – A chair based class for seniors or anyone with limited mobility. Designed to improve strength, flexibility and balance. Spin & Pump – A mix of excellent no impact high intensity cardio workout of an indoor cycle and easy to follow simple resistance moves using bands and dumb bells to maximize your fat burning capabilities. Step Circuit – Intervals of step and muscle conditioning will increase your overall strength and endurance. Tabata Combat – Highly effective, calorie-blasting interval training. 20 seconds of high intensity strength and cardio moves followed by 10 second recovery incorporating heavy bags and mixed martial arts. Turbo Kick – The fat-blasting, ab-defining cardio workout that is sweeping the nation’s health clubs and allows you to burn up to 1,000 calories an hour!!!!! A mix of kickboxing and simple dance grooves set to heart pounding dance music. Yoga – A mind-body workout incorporating breath control, simple meditation, and the adaptation of specific bodily postures for health and relaxation. Zumba/Latin Vibe – Latin inspired cardio workout!! Ditch the workout and join the party! Zumba Fusion – A mix of several Zumba specialty formats including Zumba Basic, Zumba Toning, Zumba Sentao and Zumba Step. A guarantee calorie scorcher! Zumba Toning – Perfect for those who want the party, but put extra emphasis on toning and sculpting to define muscles. *Painless Flexibility Program: Carefully structured to take you from having no flexibility to the splits – if you want to go that far. And it’s easier than Yoga. All the movements and positions are completely painless and anyone who is able to exercise can do these. ***Separate cost for program. To learn more, please go to www.painlessflexibility.com Type in the password: for young and old (use lower case letters, and spaces between the words), then press submit. click here to join email list! Check out our Events Page for news about special pop up classes & events! Join our mailing lists here!